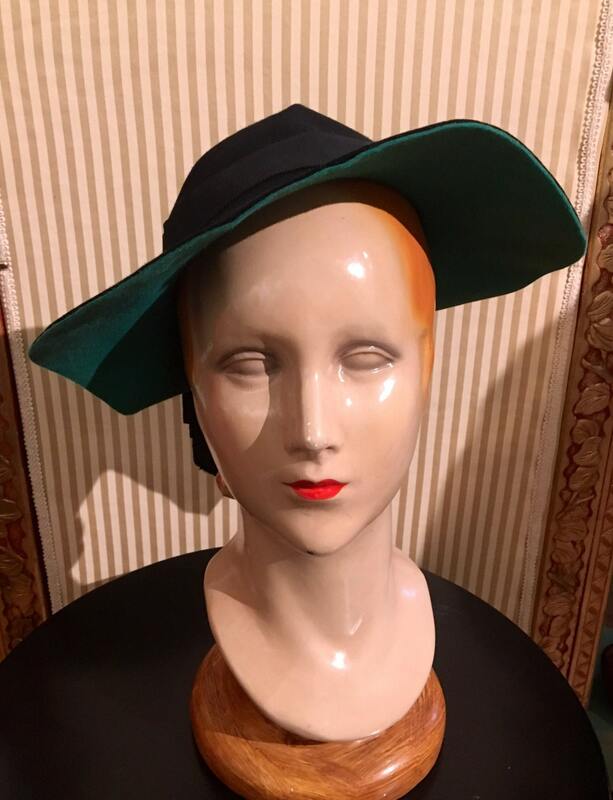 Although I have never heard of this milliner, I can imagine what a fabulous shop this must have been. 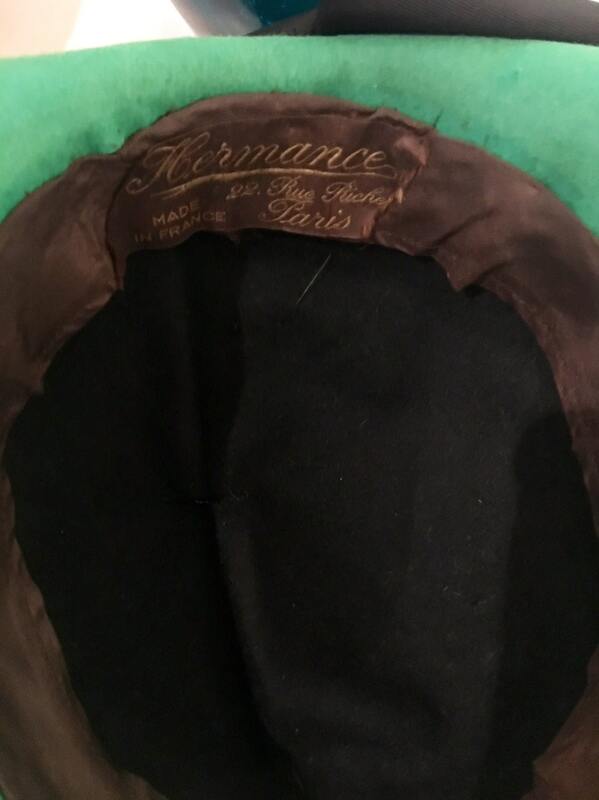 The hat reads "F. Cermance, 22 Rue Riche, Paris" and "Made in France." 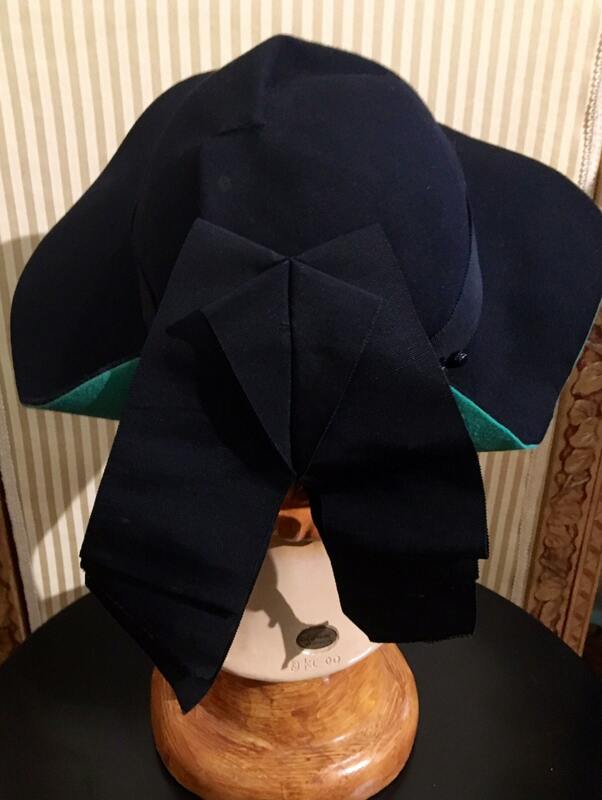 The outer side of the hat is black felt with two black grosgrain 3" wide ribbons (3 layers per side.) There is also a one inch grosgrain ribbon around the crown. 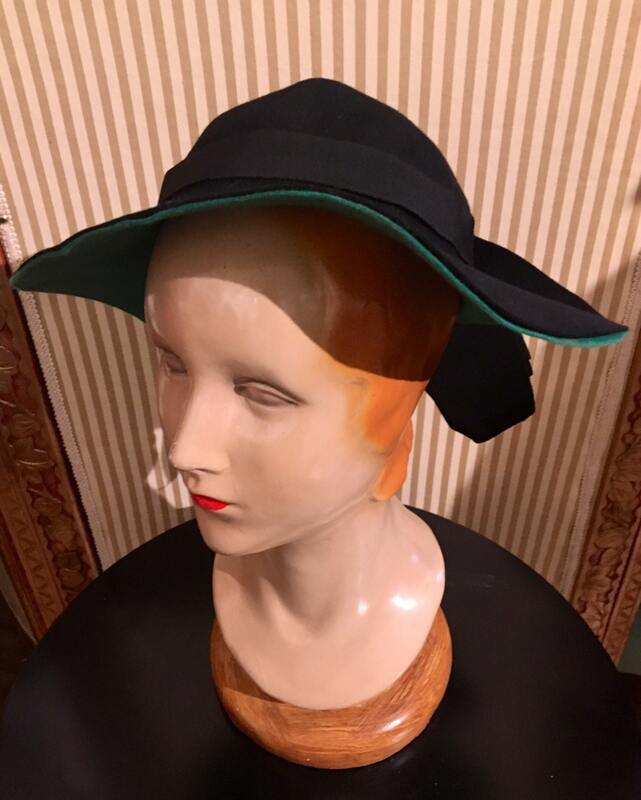 The bottom of the hat is a beautiful kelly green felt. 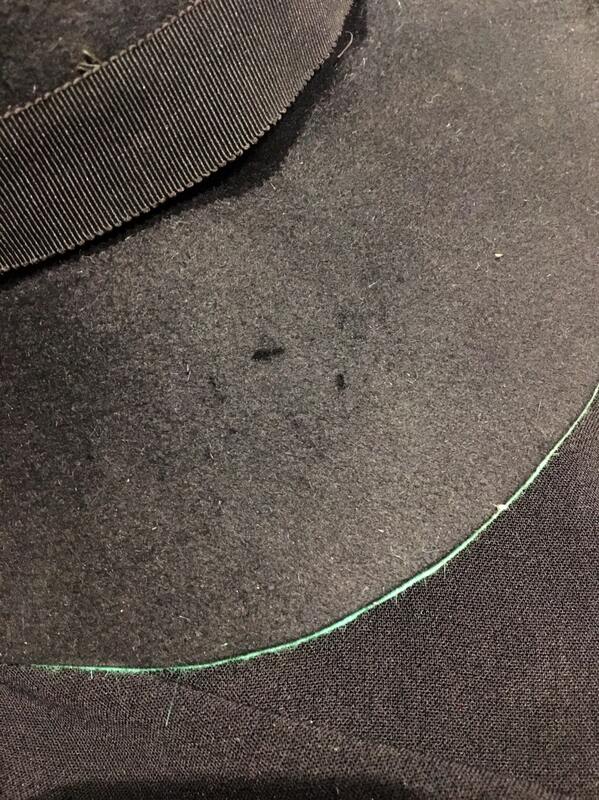 There is about 1/4" by 4" fade on the innermost side of the under brim. This will not be noticed when worn. There is one tiny snag on the top of the brim. Please see pic. The hat was in an attic and good use a good wipe down with a damp cloth. I wear a 21" circumference and it fits perfectly.